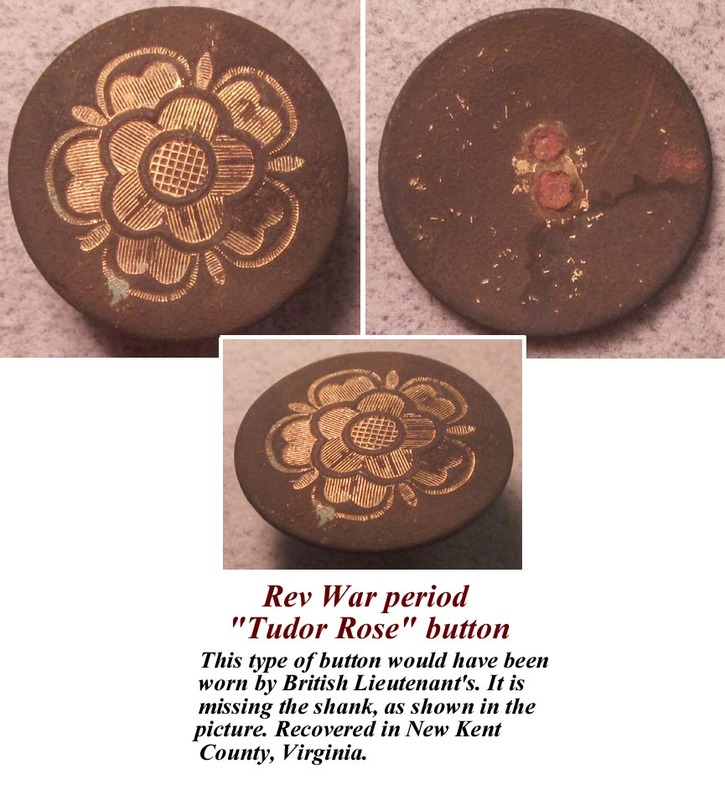 Rev War period "Tudor Rose" button. 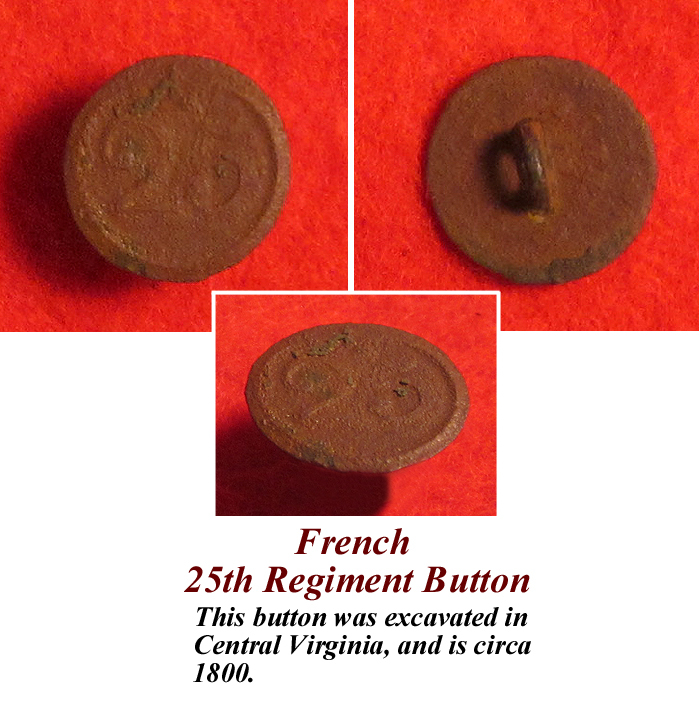 This type of button would have been worn by British Lieutenant's. It is missing the shank, as shown in the picture. Recovered in New Kent County, Virginia. 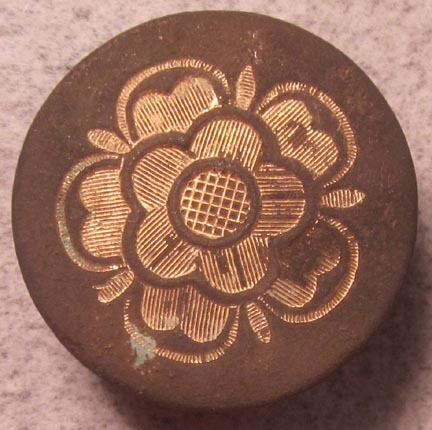 There is a button like this one shown on page 11 of "Military Buttons Of The American Revolution" written by Don Troiani. 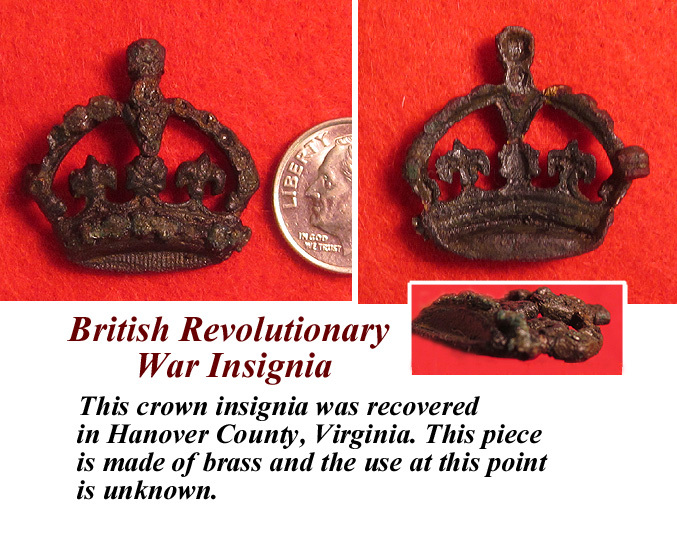 British Revolutionary War Crown Insignia. 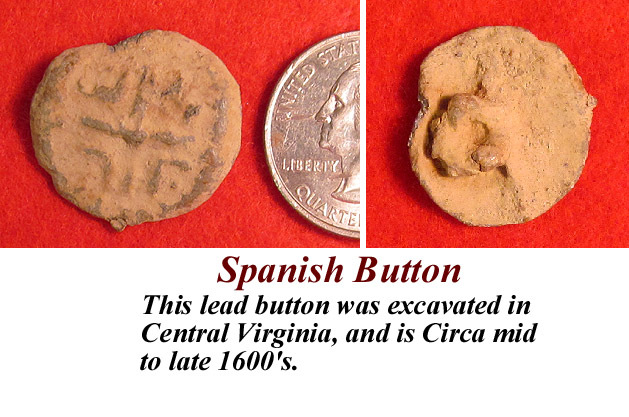 This insignia was dug in Hanover County, Virginia. This artifact is made of brass and the use at this point is unknown. It is probably a badge off of a small cartridge box, very similar to the one shown on page 159 of "Insignia of Independence" by Troiani and Kochan. This crown measures just under an inch tall and is one inch wide. This piece will display nicely in your collection. 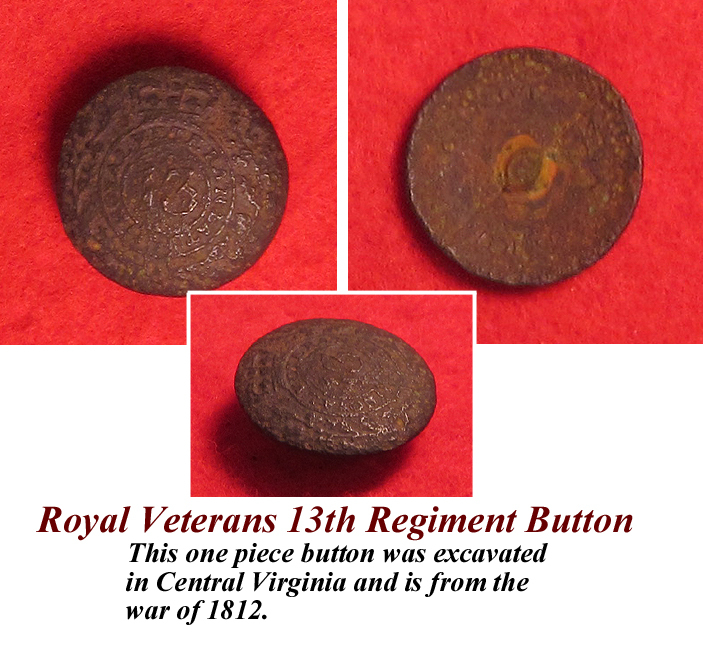 Royal Veterans 13th Regiment Button.